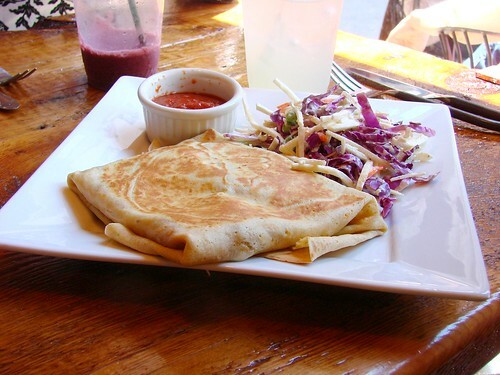 Located in "downtown" Montpelier, the Skinny Pancake is a charming little restaurant. 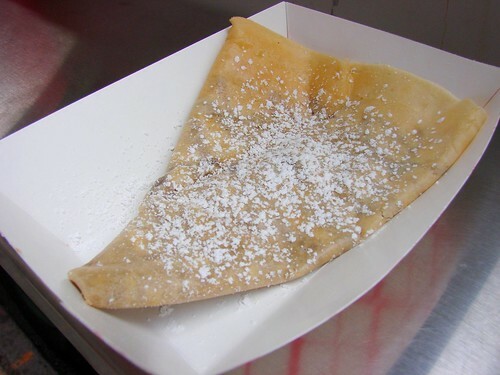 Prior to opening the restaurant their Church St crêpe cart was the first vending cart ever in the Vermont Fresh Network. Their cart is on the mall block of Church St. and is open seven days a week for lunch and dinner and also tours local fairs and festivals. They have a commitment to sustainable food practices and source as much of their food as possible from the local economy. 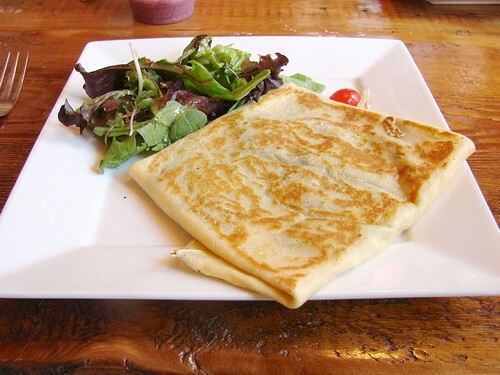 The Skinny Pancakes specialize in crepes of all kinds from the "Pure & Simple" (Vermont butter and granulated sugar) to "The Heart Breaker" (warmed Nutella, freshly sliced strawberries and bananas with a stripe of Vermont whipped cream across the top). In addition to the sweet crepes they also serve all sorts of savory crepes like "The Lumber Jack" (cubes of Vermont Smoke & Cure Ham plus shredded Cabot Cheddar Cheese) and the "Garlique Chic" (Misty Knoll diced chicken breast, homemade basil-sunflower seed pesto, roasted red peppers, sauteed onions and shredded Cabot cheddar cheese). 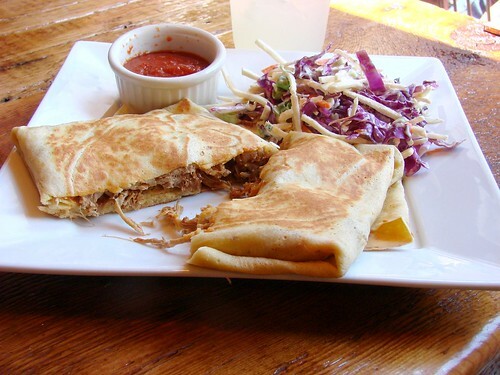 My friend and I settled on sharing a couple savory crêpes: the "Cheesy Pesto" which was filled with homemade basil and sunflower seed pesto, shredded Cabot cheddar cheese and Woodstock Water Buffalo Mozzarella and The Johnny Crêpe which consisted of Duclos & Thompson pulled pork, braised in a sweet whiskey BBQ sauce, caramelized onions, and Cabot cheddar cheese folded into a corn meal crêpe. Both were absolutely delicious. I often substitute sunflower seeds in my pesto recipe at home because I can't have tree nuts so the pesto was pleasantly familiar and definitely tasty. It had a very nice balance of cheeses. It's my great regret that I didn't have time (or tummy space) to try out the "The Raspberry Reception," a sweet crêpe filled with local raspberries, VT Butter & Cheese creme fraiche, fresh local mint & native honey. I did see a special on the menu that involved crêpes, brownies, and chocolate fondue among other delicious ingredients...That settles it. Blondie, pack your bags! We're going to VT!